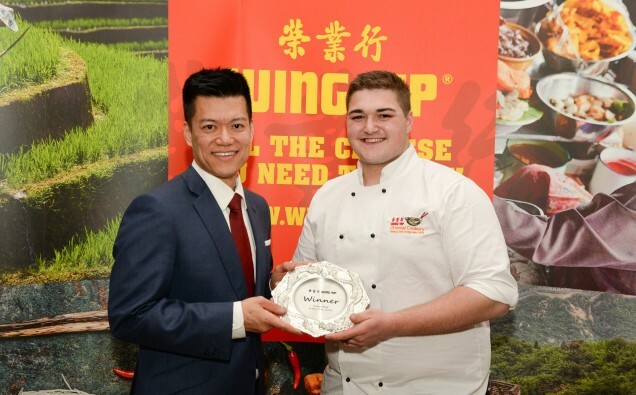 A talented young chef from Essex has been crowned Wing Yip Oriental Cookery Young Chef of the Year 2018. Conor Bird, 22, from the House of Commons, battled it out in a competitive cook-off at University College Birmingham (UCB) on (Wednesday 28 March), with the winners announced at an official awards dinner. Conor has not only been awarded the 2018 title but has also won a once in a lifetime trip to Hong Kong where he will be given the unique opportunity to explore the culinary aspects of the city and gain hands-on experience at the city’s leading Michelin-starred restaurants. Putting Conor through his paces was a panel of expert judges – President of the British Culinary Federation Peter Griffiths MBE, Michelin starred Chef Glynn Purnell and MasterChef finalist and Woky Ko founder, Larkin Cen. To gain a place in the final, competitors were required to submit an Oriental main course of their choice. During the cook-off, the finalists were asked to prepare and present a set starter course, which was selected by Larkin Cen – beef tartare with shallot ponzu and nashi pear, as well as cooking their Oriental main course of choice. Conor impressed the judges with his version of Larkin’s starter, followed by the main course of apple and miso glazed duck breast with honey heritage carrots, red cabbage puree, pak choi, sweet plum jus and miso dust. Peter Griffiths said: “This year was incredibly tough for the contestants as we incorporated a set-starter course component, which really tested the culinary skill of the competitors”. “Culinary competitions such as this one are so important for the development of our chefs of the future, not only so that they can meet other talented chefs and share experiences but also so that they can obtain useful feedback, hints, tips and advice from the judging panel and mentors. “Every single finalist did a fantastic job and should be incredibly proud of their achievement, in fact, this year it was the hardest year for the judges as the standard was so high, which is why we all agreed to award fourth place, for the first time”.